"Most people call me The Jackdaw. If they don't, I tell them they probably should." Meet fifteen-year-old Jack 'Jackdaw' Dawson, a young man with a serious plan. Daydreaming in class one day, Jack is hit over the head with an idea so blinding, so extraordinarily visionary and so downright fantastic he knows it can't fail. It's his ticket out of school – an app that will stop you from getting into trouble for daydreaming in class (ahem…) Fame, glory and tons of money seem just around the corner – but then Jack runs into a few problems. That is, unless he does her a favour… which leads to someone else needing another favour, then another and another – until Jack finds himself sat upon a very precarious pile of promises to a whole bunch of random people. Can the Jackdaw complete his scheme, or is this too much for even his superior brain to cope with? 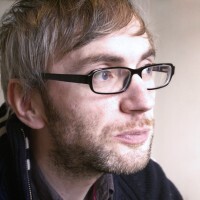 Stuart David is a Scottish musician, songwriter and novelist. He co-founded the band Belle & Sebastian (1996-2000) and then went on to front Looper (1998-present). He is the author of the adult novels NALDA SAID and THE PEACOCK MANIFESTO, published by I.M.P. Fiction in 1999 and 2001. His third novel, A PEACOCK'S TALE was published by Barcelona Review in 2011. Stuart's memoir, IN THE ALL-NIGHT CAFE: A MEMOIR OF BELLE AND SEBASTIAN'S FORMATIVE YEAR, was published by Abacus / Little, Brown in 2015. JACKDAW AND THE RANDOMS is Stuart's first book for teenagers.